Orlando, Florida is the destination of choice for theme park lovers. To be honest, I’m not a huge fan of theme parks and found the plethora of parks a bit overwhelming, but I was pleased to find some parks educational as well as entertaining. Orlando is possibly the best example of what tourism can do for a town’s economy. With almost 50 million visitors enjoying Orlando family holidays each year, the sub-tropical climate and theme parks are clearly a draw-card. Orlando has more entertainment parks than anywhere else in the world and there really is something to suit everybody. The Walt Disney Resort dominates Orlando with seven different parks. Personally I have no interest in Disney, but fortunately there is more to Disneyland than Mickey and his pals. Of the Magic Kingdom, Epcot, Disney’s Hollywood Studios, Disney’s Animal Kingdom, Typhoon Lagoon, Blizzard Beach and Downtown Disney, Epcot was my favourite park. Epcot offers rides and excitement, but is also designed to celebrate human achievement, innovation and international culture, so appealed to me (and my inner science nerd). 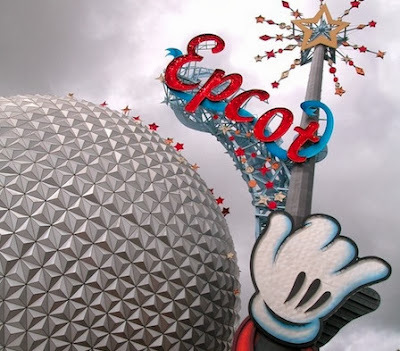 Epcot themes include space, innovations east and west, energy, the land, the seas and others. The World Showcase enables you to enjoy the food, architecture and attractions of several countries, and walk from one to another in only a few steps including Japan, Italy, Mexico, UK, Norway, China, Germany, Morocco and America. Clearly it is all fake but the traveller in me still enjoyed it. As a movie fan I also enjoyed Universal Studios Florida, which is part of Universal Orlando, and features Universal Studios Florida, CityWalk and Islands of Adventure. Universal runs in conjunction with a movie studio and offers rides and entertainment that make guests feel like they are part of the films. For die-hard fans of certain movies the Islands of Adventure park features several separate ‘islands’ themed around specific movies, such as Jurassic Park and Harry Potter. CityWalk is like a mall and offers rest and recuperation in the form of shops, a cinema, bars, restaurants and nightclubs. Wet ‘n Wild water park offers several different water slides for swimwear-friendly water-based fun but is not really my sort of thing. Controversial Seaworld Orlando features several parks and shows based on marine wildlife. But while I love marine wildlife, and respect certain educational benefits of such parks, I prefer to see the animals in their natural habitat. Have you been to Orlando and do you have a favourite park?